Intrigued by LadyAda’s description of the Minty Boost kit, I ordered and built one. 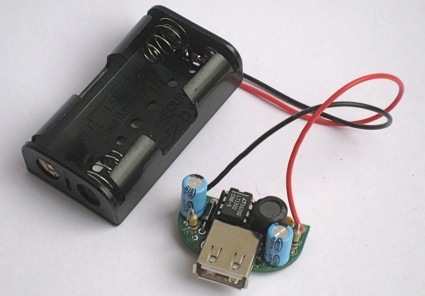 It delivers a stable 5V supply from 2 AA batteries to a USB plug, so you can use it to charge/power USB devices. Trivial to build and works as advertised.